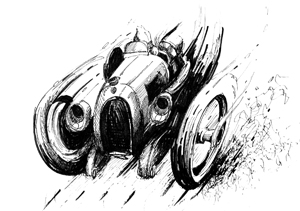 The French Linas-Montlhéry circuit (1924–ca. 2000) near Paris was one of the few oval tracks in Europe (it did have several road course configurations as well). Unlike an undulating road course, an oval, especially one with high-banked corners such as this (and Europe’s first, Brooklands in England), allows high sustained speeds because you don’t have to slow down for corners. 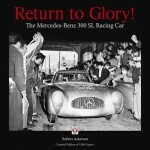 Being such an ideal venue for full-bore racing and speed record attempts makes it all the more amazing that Boddy’s book stands pretty much alone as an English-language record of the famed track—which is surely why the publisher reissued this long out of print book 45 years after it was originally written (1961, Montagu Motor Books) in their “Classic Reprints” series. 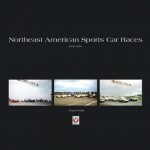 First published when the track was still in regular use, this reprint sports several additional period photos and is updated with a brief history of the track’s history after 1961 to its closure in 1973 (and scattered vintage racing events beyond that). Not updated, on the other hand, are the typos! 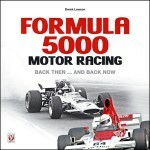 Covering five French Grands Prix (1925–37) Boddy presents a densely packed, fact-rich account. He is rightly known for possessing an engaging writing style but today’s reader needs to keep in mind that his original audience had a different attention span and forms of expression. In other words, you may end up reading paragraph-long sentences several times before you sort out what happened to whom when and where and why. No matter, Boddy shines a light onto an environment quite different from racing elsewhere and, naturally, vastly different from today. 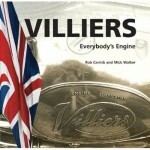 One interesting aspect already evident then is the fertile cross-pollination of influences and the many connections among the drivers and engineers of the time. You may well be surprised to find that particulars names you firmly associated with just one marque did, in fact, race or work for all sorts of other teams (works, or more often private). It also interesting to see how many more women drivers (cf. Cordery, Stewart, or Bruce) than today were involved at such a high level of motorsports. This is all the more remarkable when you consider [a] the understanding of gender roles at the time and [b] the sheer size and unruliness of the machinery. If you have ever driven a vintage racecar, with its skinny tires that wander all over the place and a cord-wrapped, bus-sized, fairly upright steering wheel that fights your every input and hurts your palms, you’ll appreciate how physically difficult these cars are to drive. But, sadly, that is not a part of the story Boddy devotes any particular attention to. Something else that is left to readers to notice on their own is that Montlhéry seems to have seen a disproportionately large share of wintertime record attempts. These conditions seem so obviously unsafe—on top of the general lack of safety features on the cars and the track—that one can only wonder what anyone was thinking. A general explanation of the methodology behind motorcar records leads into a detailed narrative of the 30-some seasons following the track’s opening in 1924. 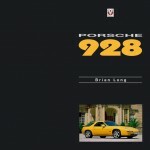 The narrative focuses on cars and racing rather more than on personalities. 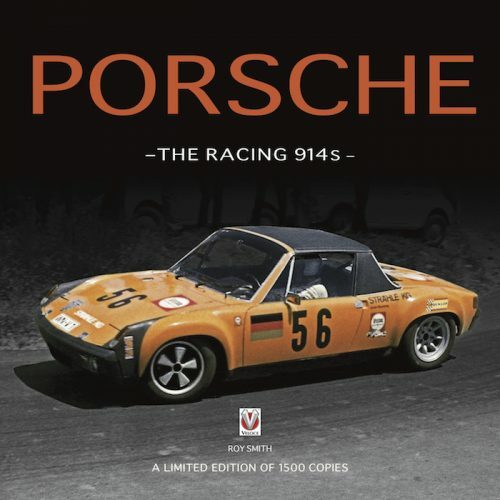 Only two of the latter are given special attention, in a closing chapter: Gwenda Stewart (the later Gwenda Hawkes) and LSR holder, engineer, and inventor George Eyston who also wrote the original Foreword. The many period photos are instructive and evocative. Compared to the 1961 edition there are several in the reprint that actually look worse which is probably a result of scanning previously printed material and not minimizing or later removing the inevitable moiré pattern. Still, it is a splendid, and important, book. There is an Index, but in a miniscule type size. 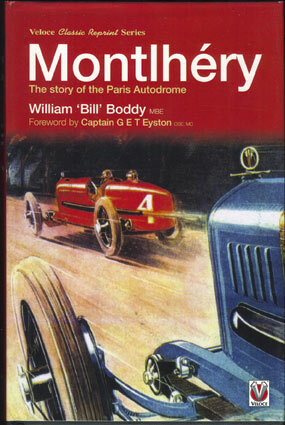 Boddy (1913–2011) was a veritable fixture on the motor journalism scene and was awarded an MBE in 1997 for his services, not least for his editorship of Motor Sport from 1936 to 1991 and being the “house historian” at Brooklands. 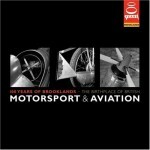 Anyone with a decent motoring library should make it a point to acquire all of Boddy’s books!